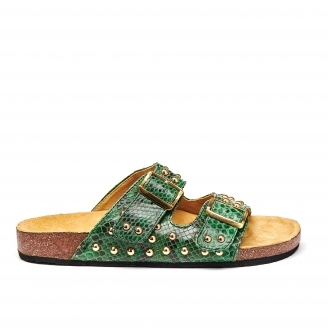 The evergreen python sandals adorned with studs, trendy and confortable at the same time. 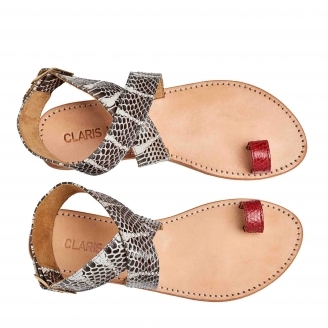 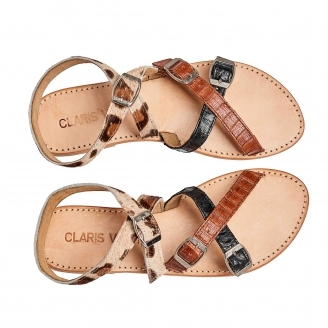 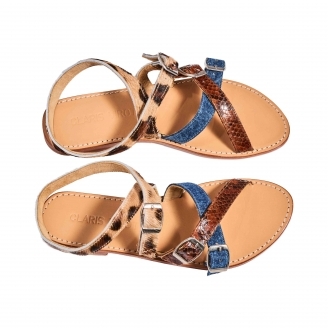 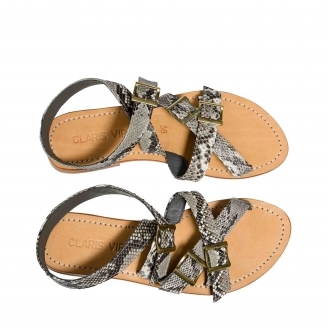 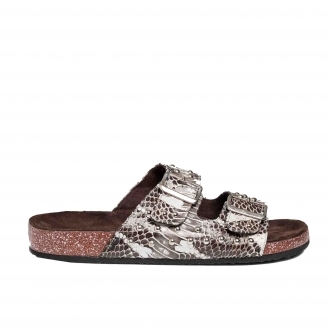 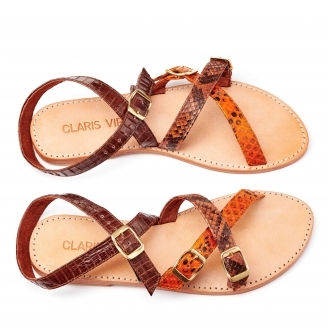 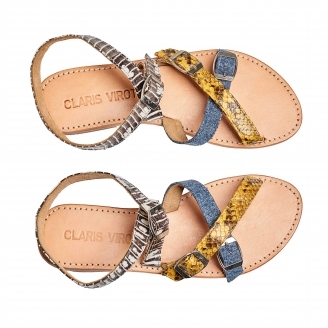 These handmade sandals are composed of a leather sole and python straps decorated with nails. 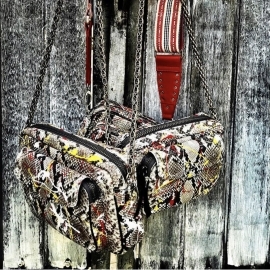 Their three large buckles side by side give it a rock and modern look. 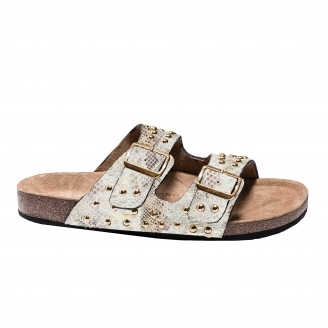 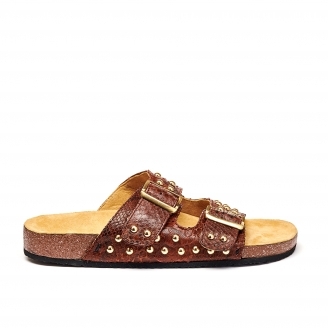 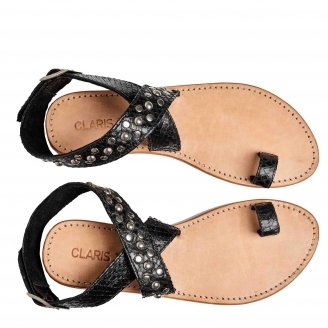 These handmade sandals are made of a leather sole and python straps with rock silver studs. 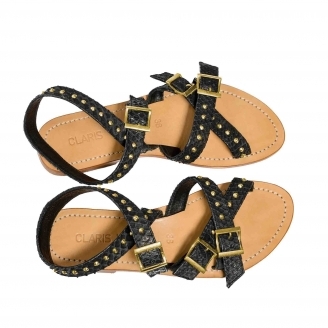 Their thick crossed flanges roll up on the top of your ankles and closes thanks to a buckle on the side. 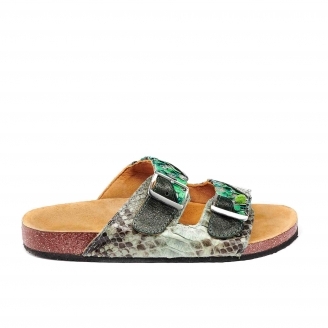 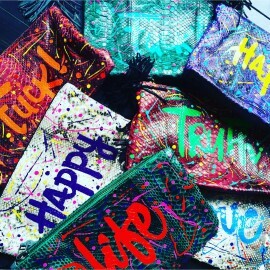 They will give your look a rock and modern style.